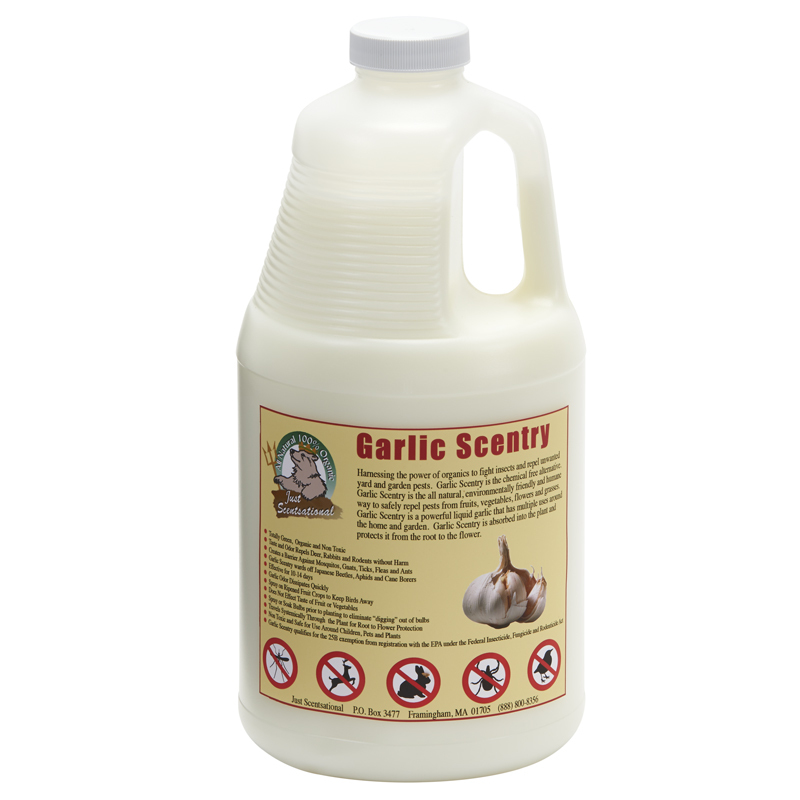 Garlic Scentry harnesses the power of organics to fight insects and repel unwanted yard and garden pests. 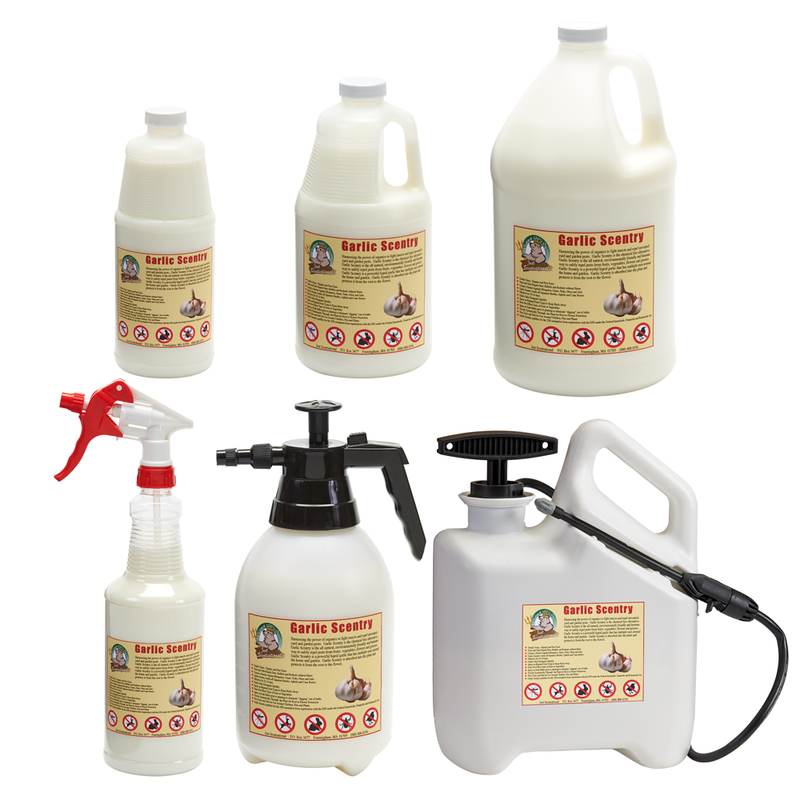 A chemical free alternative and the all-natural, environmentally friendly and humane way to safely repel pests from fruits, vegetables, flowers and grasses, Garlic Scentry is a powerful liquid garlic that has multiple uses around the home and garden. 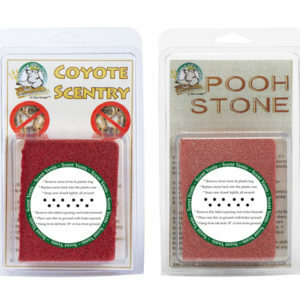 Garlic Scentry harnesses the power of organics to fight insects and repel unwanted yard and garden pests. 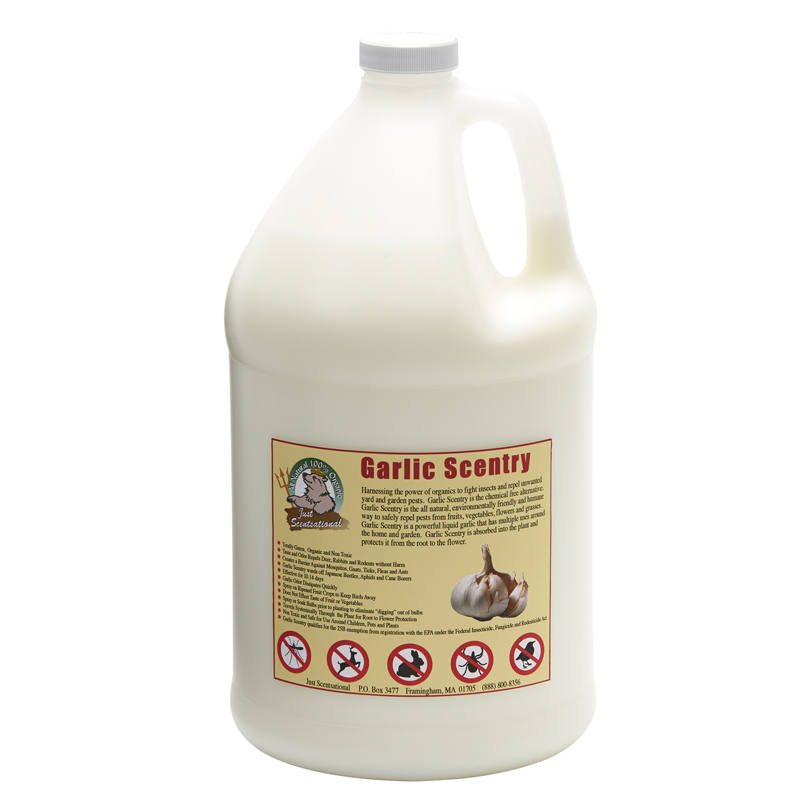 Garlic Scentry is the chemical free alternative and the all-natural, environmentally friendly and humane way to safely repel pests from fruits, vegetables, flowers and grasses. 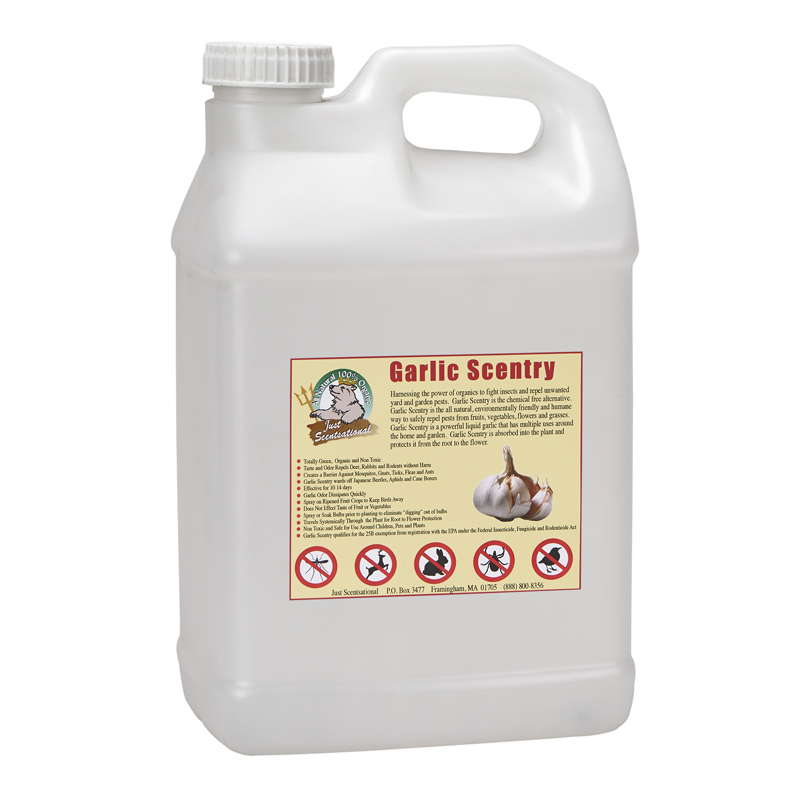 Garlic Scentry is a powerful liquid garlic that has multiple uses around the home and garden. 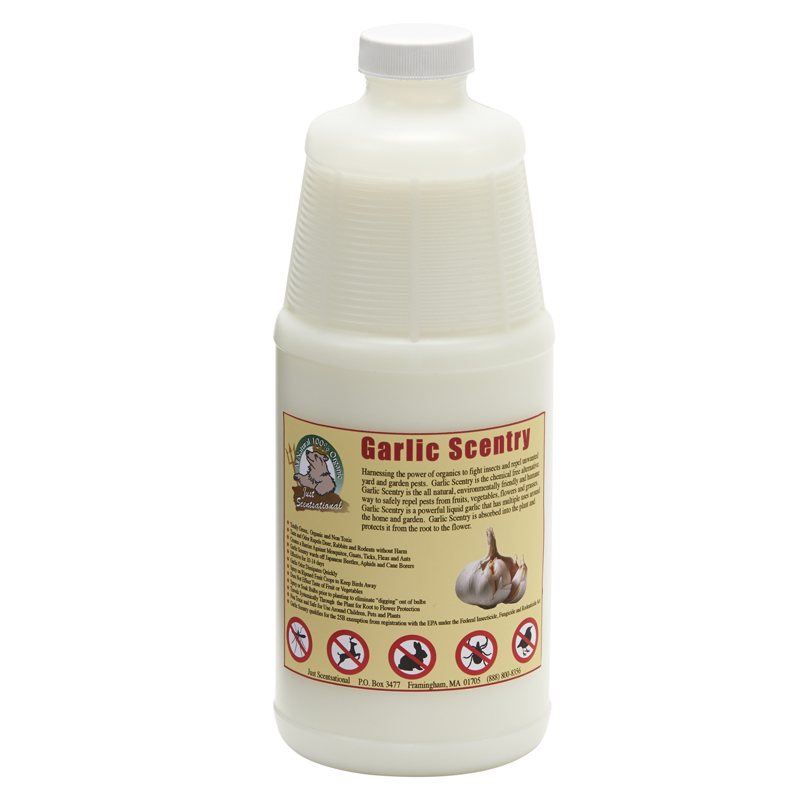 Garlic Scentry is absorbed into the plant and protects it from the root to the flower with no noticeable change to taste for humans. Available in multiple sizes in regular and concentrated formulas, and preloaded into trigger or power sprayers.